Installing plugins in photo editor Lightroom simplifies the process of working with images. Their download and installation is quite simple, it can handle even a novice user of the program. 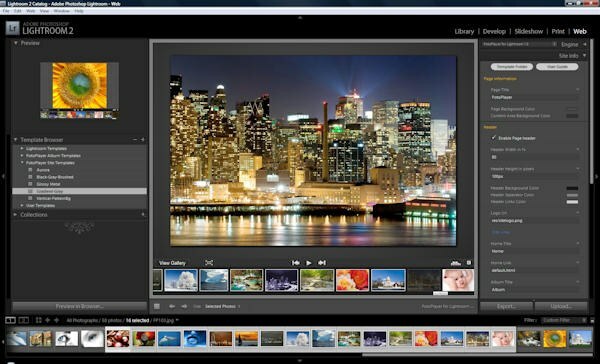 To install plugins for software Lightroom these download from a trusted source. It is best to choose the files with the files that have positive reviews from users of the same version that is installed on your computer. After that, extract the contents of your downloaded archives and check them for viruses. Please note that additions to the programs are often downloaded also and malicious content, so try to use to validate the upgraded database versions. Separate plugins for Lightroom program from the rest of the files contained in the archives, it can be various image files, links and text documents, to simplify the process, sort them by type. Then copy only the plug-ins for Lightroom, by selecting them and clicking the right mouse button to invoke shortcut menu. You can also just copy the entire contents, however, it will not be readable by Lightroom. Weight of the folder with the add-ons only increase, which could significantly affect the performance of the program. Paste the copied files to the Lightroom program folder add-ons. Operating systems MacOS, use the directory /Library/ApplicationSupport/Adobe/Lightroom/Modules/ if you want to install plugins for all users of the computer. If you don't want to be used by the owners of the other accounts, paste the copied items in the same folder your user. For the Windows operating system folder to paste the plugins will be C:/Documents and Settings/username/Application Data/Adobe/Lightroom/Modules/ or C:/Program Files/Adobe/Adobe Photoshop Lightroom 1.4/Modules/. So the plugins appear in the program menu, Lightroom, restart it or just close before they are copied. Do not download plugins from dubious sites.